Sarah Nader - snader@shawmedia.com Madeline Bartot, 17, practices a song on her flute while at her home in Huntley on Wednesday, March 14, 2012. Bartot will be performing in the All-National Concert Band ensemble in Washington, D.C. on June 24th. 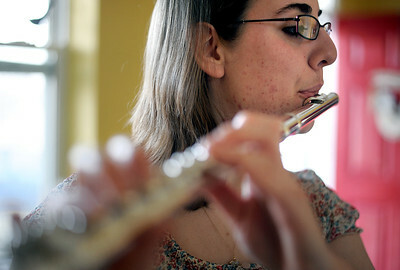 Madeline Bartot, 17, practices a song on her flute while at her home in Huntley on Wednesday, March 14, 2012. Bartot will be performing in the All-National Concert Band ensemble in Washington, D.C. on June 24th.